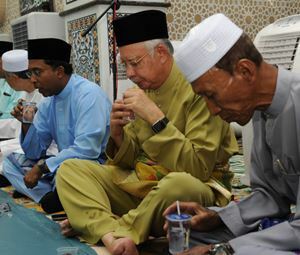 SITIAWAN, June 28 (Bernama) -- Prime Minister Datuk Seri Najib Tun Razak Sunday joined hundreds of people to patronise the Astaka Ramadan Bazaar, here. 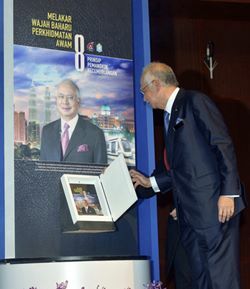 KUALA LUMPUR, June 24 (Bernama) -- Pos Malaysia Berhad will issue special stamps featuring the uniqueness of herons and bitterns tomorrow, with birds being a popular theme for stamps worldwide. 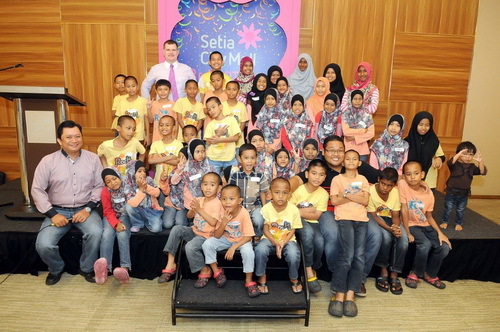 By Suriani Razali SHAH ALAM June 24 (Bernama) -- The Setia City Mall (SCM) Tuesday shared the excitement of Hari Raya Aidilfitri with 43 underprivileged children aged two to 17, from Rumah Saffiyah in a hari raya shopping treat in conjunction with the mall's third anniversary this year. KUALA LUMPUR, June 23 (Bernama) -- The country is probably facing the largest dengue epidemic ever, with over 40,000 cases and 157 deaths reported since January this year. By Nabilah Saleh KUALA LUMPUR, June 23 (Bernama) -- The global community will fail millions of children if it does not focus on the most disadvantaged in its new 15-year development roadmap, warned the United Nations Children's Fund (Unicef) today. By Yasmin Abdul Manan KUALA LUMPUR, June 22 (Bernama) -- In an increasingly intricate and complex world, it is essential for parents to build a strong and transparent relationship with their children, according to a leading psychologist. 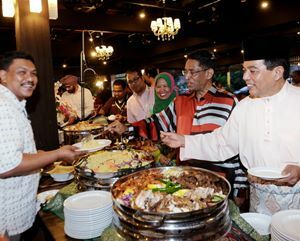 PUTRAJAYA, June 17 (Bernama) -- Prime Minister Datuk Seri Najib Tun Razak on Wednesday announced a special financial aid of RM500 to civil servants on Grade 54 and below in view of Ramadan and Aidilfitri.